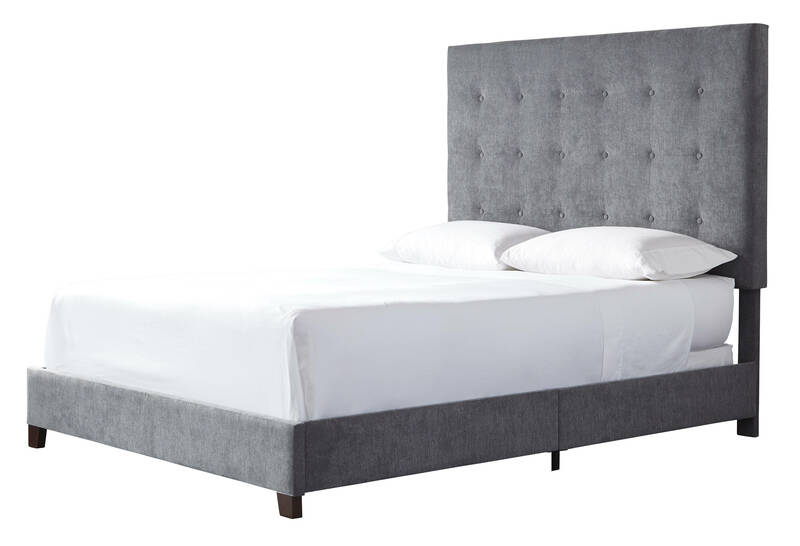 Live the dream of a high-style bedroom retreat with the Dolante king upholstered bed. Generously scaled headboard is beautified with subtle tufting that adds an upscale touch. Low-profile styling brings a chic, modern sensibility to your space.